The Stage 6 syllabus asks us to examine certain jobs (vocations) and to consider how they are relevant for our study of Urban Places. 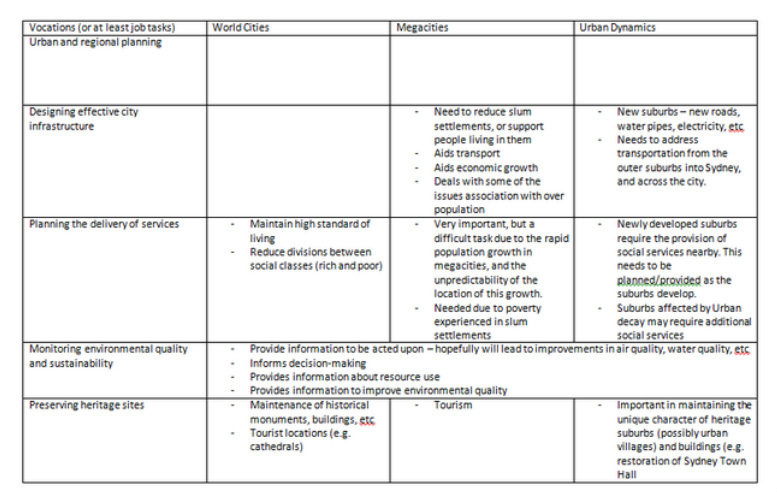 Fill in the blanks, explaining how particular jobs or task can be related to our study of World Cities, Megacities and Urban Dynamics. Below you can see that some of this work has already been done for you.